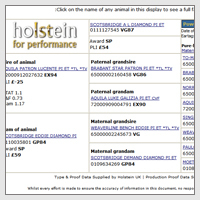 Ancestry pages enable users to search through an animal’s history looking back at the pedigree information of its Sire and Dam. 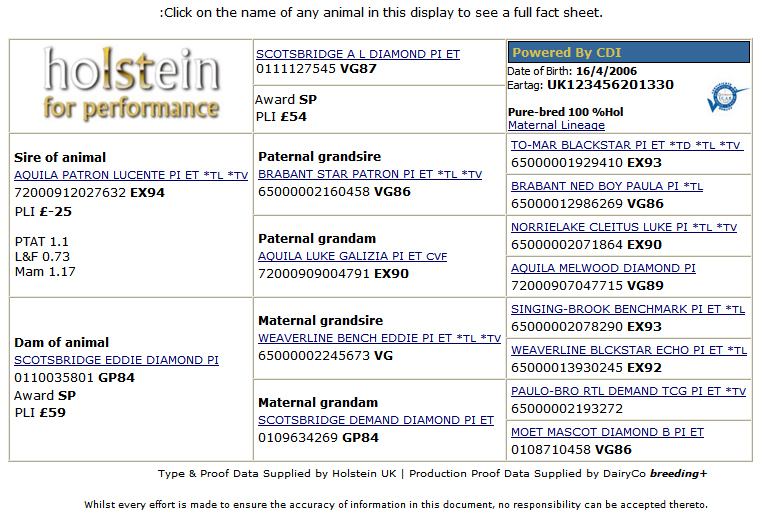 They can go back through the generations looking at detailed pedigree information for every animal. 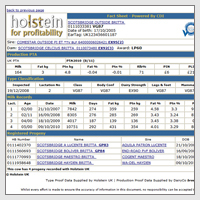 The Factsheets make it possible to search for all kinds of facts and figures on any bull or cow that is stored in the Holstein UK system. All animal names that you see on the factsheets are hyperlinked to that animal’s factsheet. An example of an Ancestry page, these pages make it easy to see the last three generations of family details for this animal. All of the animal’s names on this page are linked to their online factsheets so you can view detailed information on how their overall scores are calculated. On the female factsheet viewers can see the animals Sire and Dam, whose names are hyperlinked to their own online Ancestry Page. 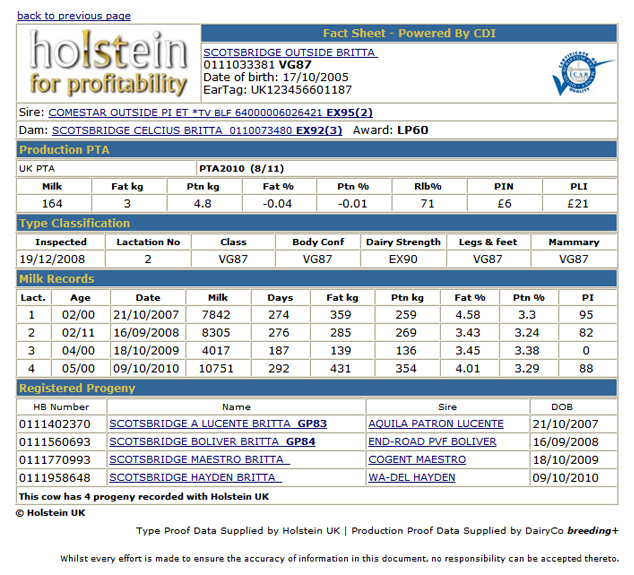 As well as its Production PTA information, Milk Recording information and a list of all of its registered progeny. 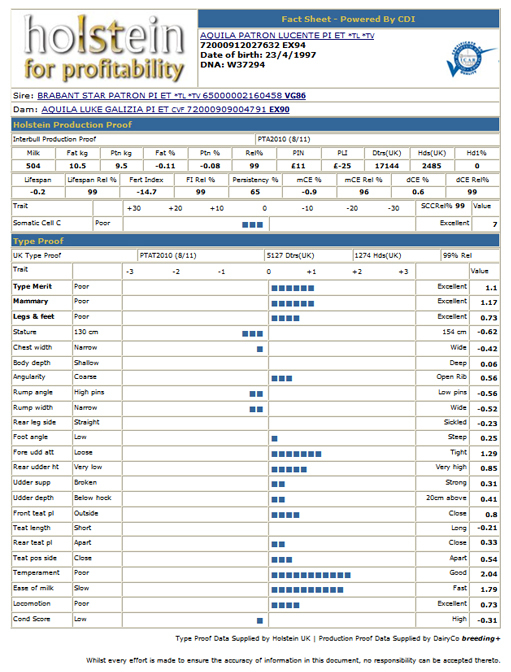 It’s easy to view detailed information on all of the animal’s lactations, such as amount of milk produced, its protein count and fat counts as well as percentages. Male Factsheets also show the animal’s parents, again linked to their own factsheets. 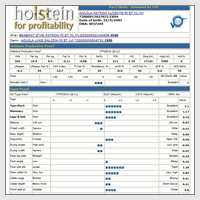 They also have a detailed breakdown of the animal’s type proof results making it easy to identify strengths weaknesses and trends within your herd.